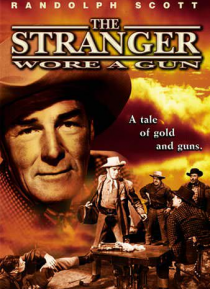 Randolph Scott heads out to Arizona and takes up with George Macready. Both watch and plot as Joan Weldon and her father, ship gold via the stagecoach line. Scott instigates a feud between Macready and a Mexican bandit. After the smoke clears, Scott and Macready remain, and they shoot it out in a top-notch action sequence in a flaming saloon.